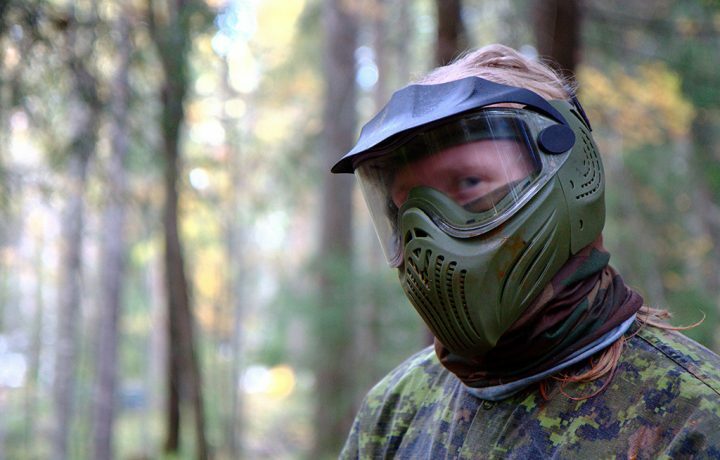 Magazine fed markers can make your paintball matches more challenging. These guns are for more experienced players. Regardless, different mag fed markers have their particular specs that can help you determine which one suits you best. 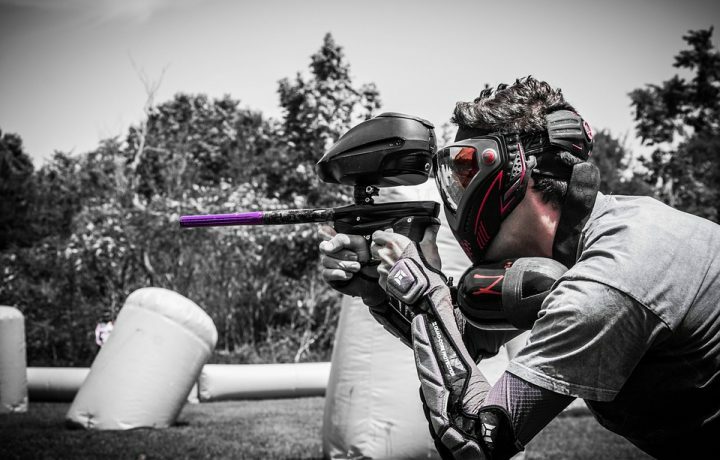 Our article focuses on informing you about the best mag fed paintball guns out there. 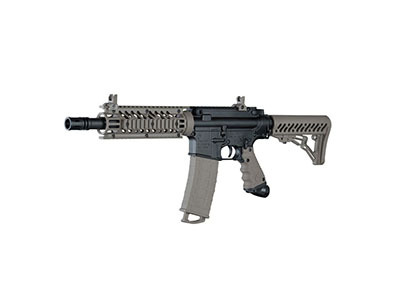 The T4E Umarex Paintball Pistol is pretty affordable. For the features it provides, the price seems to be just right. This pistol performs very well in terms of accuracy. It’s also small and lightweight. Being almost two pounds, it’s close to the weight and size of the real-life counterpart. The blowback after a shot feels like the real thing, as well. This pistol shoots .43 paintballs, rubber balls, and dust balls. The T4E looks as much like the Walther PPQ M2 as it feels. This could be because this paintball pistol was also made by Walther. 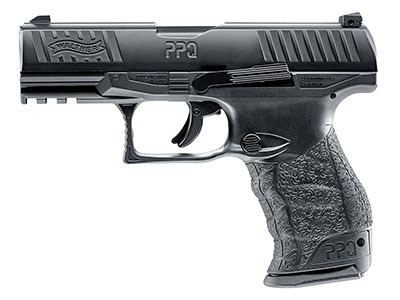 Anyone who already owns a Walther PPQ M2 will easily be able to adjust to the T4E. 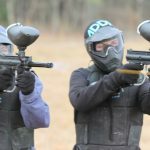 In our opinion, this makes one of the best mag fed paintball guns for those who are looking to play a realistic paintball game. 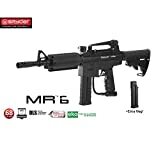 The Spyder MR6 is the most affordable mag fed on this list. Regardless, it contains a unique feature that can change the way you play. The marker contains a Dual Loading System or DLS. This allows you to switch between a mag feed and a hopper. It’s recommended for those who want to try out a mag fed marker without doing a full transition. The handle is covered in rubber for an easy, comfortable grip. This marker is compatible with First Strike ammo. The gun overall looks relatively average. The way it’s painted reveals too easily how plastic it is. It may be molded like the real thing, but the outward appearance might not look realistic enough to players. 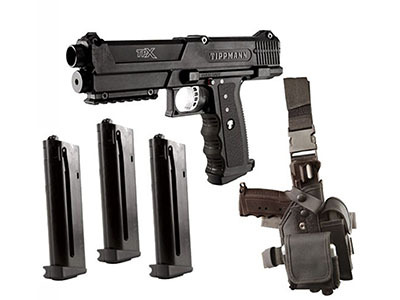 For a small pistol, the Tippmann TPX Pistol is more expensive than the previously mentioned markers. This may be due to the overall intricate, detailed design of the gun. It’s lso customizable. The pistol is easy to handle even with paintball gloves on. There’s less bulk in the handle because, unlike other markers, the CO2 cartridges aren’t stored in the grip. They’re stored in a small compartment under the marker’s barrel. These cartridges may only last for two or three magazines, however. Avoid using this in frigid temperatures, as the CO2 cartridges can freeze up and cause problems. This Tippmann pistol looks realistic. It comes in three colors: black, olive, and desert tan. The Tiberius Arms T15 is the most expensive marker on the list. 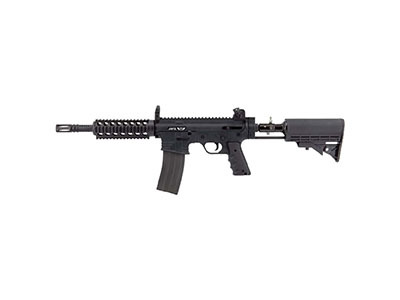 With the high price and quality, this gun was made for tournaments and substantial use. It’s not recommended for those who go paintballing once in a while. It’s no surprise that this marker is durable. You can use this gun in any weather condition without it reducing its quality. Made with aluminum, the T15 is also lightweight. Customization is available. You can easily make certain changes while in the middle of a match. The T15 was made to look like an AR-15. Not only does it look realistic, but it also feels realistic. The Valken Blackhawk Mfg Magfeed is pretty average in terms of price. It’s not as expensive as the T15, but costs more than the Tippmanns. The price does show through its features and general quality. 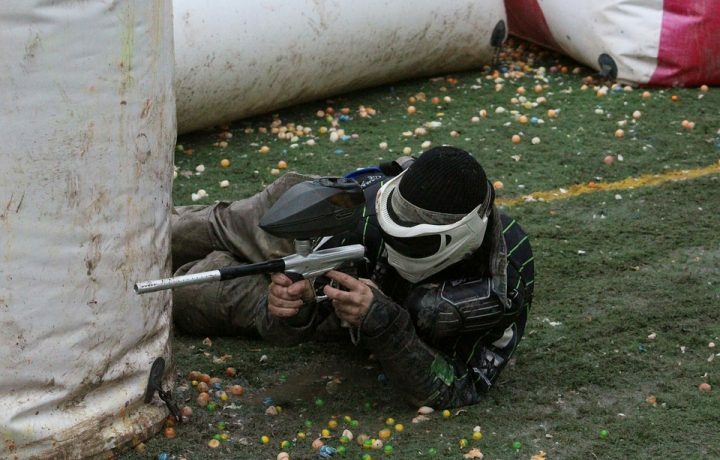 As an expert, you may need a marker that will allow you to switch between regular paintballs and FSR’s. The Valken Blackhawk can house both of them in the magazine. This semi-automatic doesn’t have an external hose. Consumers who play speedball will find this to be a convenience. The Valken comes with a gun bag. It’s one of the lightest markers on the list, weighing only three pounds. The Valken Blackhawk looks near identical to the T15. This is only because they are both modeled after the AR-15. 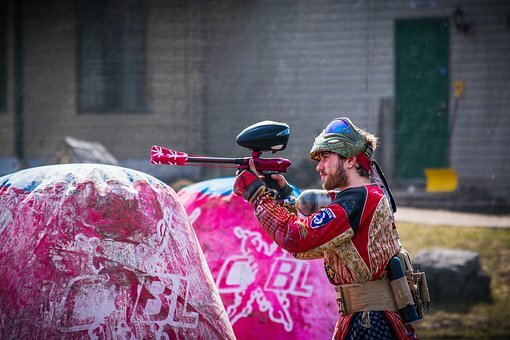 Naturally, it has that professional look that many paintballers desire. For players who love the look of the T15 but wants the features of the Valken Blackhawk, they will have a smooth transition. 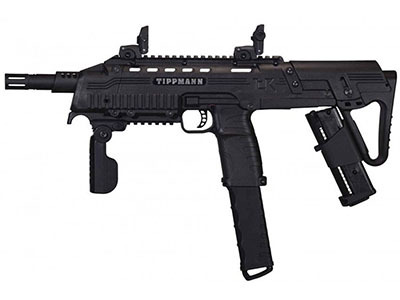 The price of the Tippman TMC is affordable. Besides the pistol, low affordability and high quality both define the brand of Tippmann very well. 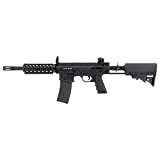 This makes it one of the best mag fed paintball guns for those who only want to experiment with mag fed paintball guns. The TMC is lightweight for its size. The trigger frame is covered in rubber, making it comfortable. You can adjust the stock to your preferred setting. The TMC is ultra reliable. Even after years of paintballing when the marker starts to wear and tear, it will still be shooting at the same quality as when you first bought it. This Tippmann isn’t the most expensive marker on the list, but it is still pricey. This gun doesn’t come alone, however. There are plenty of additional and adjustable features to make the price worthwhile. The TCR is easy to load and reload. Though mag fed adds a fun challenge to matches, you may feel like using a hopper instead. You wouldn’t need to purchase a second marker. The TCR could go hopper for days when you want to take it easy with friends. This, along with the T4E, is the lightest gun on the list, weighing only two pounds. That, unfortunately, means there are fewer features. Luckily, it’s customizable. There are four Pic rails to add more items to personally fit your needs. The overall visuals of the TCR are in a military style. This serious look provides a sense of professionalism for those who want to enter in major tournaments. It only comes in black, but that color alone adds to the genuine design. Our list contains the best mag fed paintball guns available based on price, use, and looks. 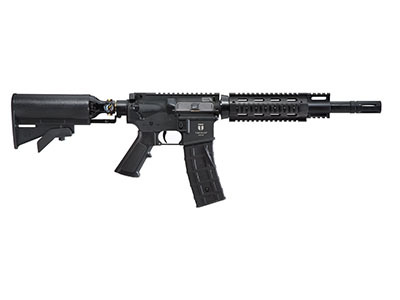 To us, our favorite is the Tiberius Arms First Strike T15. It may be expensive, but the quality shows. The durability allows for many games at any time of year. It also looks amazing. The professional look and feel just scream tournament match. 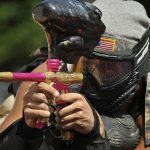 If you would like to know more about this paintball marker, read our extended Tiberius T15 review! Which gun suits you best? 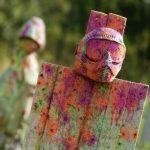 Which do you consider to be the best mag fed paintball guns? Let us know in the comments below! 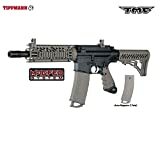 Personally, I did not at all like the Tippmann TMC paintball gun. I did not think it was all that comfortable, and it’s too expensive in my humble opinion. What can I recommend? I don’t know. I have to test others and then I’ll tell you. Thanks for sharing your opinion. We would recommend going for the Spyder MR6 as an alternative. Let us know how it goes! 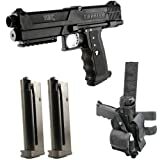 I purchased the T4E Umarex Paintball Pistol because the price was great as you could not go wrong with it. However, I do wonder if I should have spent a little more money on one that has a bit more force. It is kinda weak. Thanks for the feedback. We think that the T4E Umarex is a great starting point for any paintball beginner. You’ve made the right choice, and you can upgrade as soon as you feel in control over the T4E. 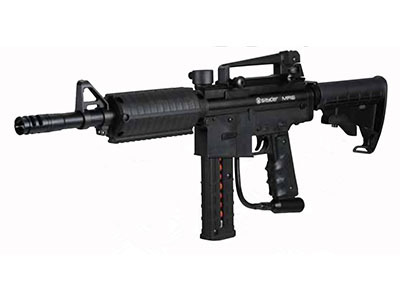 I have not tried anything other than the Spyder MR6 paintball gun and it is truly rad. I would highly recommend this one to beginners and to those who are experienced with paintballing. It is so easy to use which eliminates frustration.